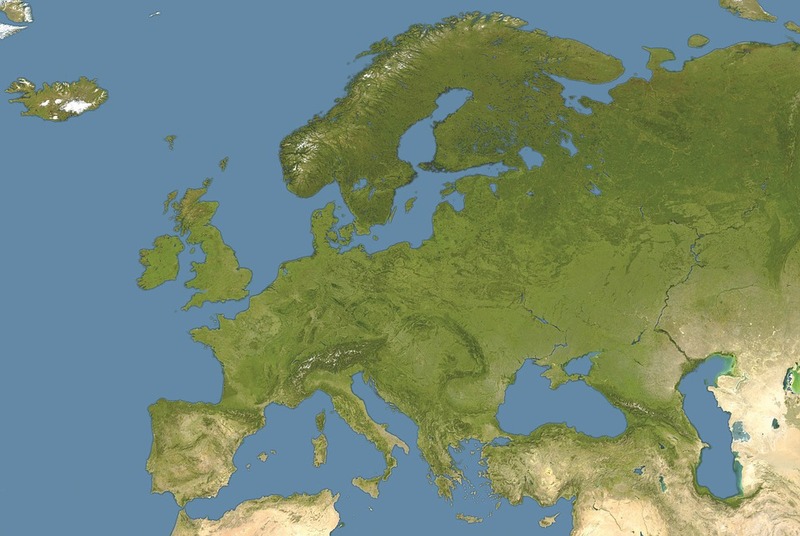 Whilst the European Union formally began in 1993, the idea of a unified continent has been bandied about as early as 1693, as William Penn considered the devastation of war in Europe. As we celebrate Europe Day on the 9th of May, now seems a good-a-time as any to reflect on the EU. The notion of a united Europe began in earnest following the catastrophe of the Second World War. Previously, the likes of Winston Churchill and many other European politicians liked the idea of unifying other countries on the continent, but wanted little to do with it themselves. Given the rise of nationalism and the far-right leading up-to and during the War, and the subsequent destruction it caused, many opinions understandably changed. In 1951, The Treaty of Paris was signed by Belgium, France, West Germany, Italy, the Netherlands and Luxembourg, and whilst the treaty dealt solely in coal and steel, they were the two most important materials in the world at the time and in neutralising the competition for the substances, the treaty marked the earliest form of the European Union. So where is the European Union now? In its main and original aims, it can be considered a success – there has been comparatively little conflict in Europe since its implementation, and the Union is a competitive economic superpower on the world stage. The list of members has grown to 28, though it looks set to lose one of its most important members. Britain officially joined on the 1st of January 1973 and was a member until the country’s Euroscepticism came to a head during the referendum vote in 2016. The scepticism could be found along the entire political spectrum, with its main issues being the weakening of national sovereignty, the bureaucracy of the EU and the opinion that it is a neoliberal organisation that costs the working-class, as well as encourages high immigration. The highly divisive nature of the Brexit vote is still very apparent today, and will likely remain so for a very long time. Regardless of your political allegiances, Europe day is worth celebrating. Most countries do this by raising the European Union flag and celebrating pan-Europeanism. There are many rich cultures worth enjoying in Europe… perhaps now more than ever. Do you require interpreting or translation in any of the European languages? Give us a call on 01273 473986, or email info@vlslanguages.com! At Vandu we write about many cultures and countries around the world, but St George’s Day seems like a good time to celebrate the culture of the country where our business is based, in (currently) sunny East Sussex. Born in Greece from Christian parents, St. George would eventually become one of the most celebrated Saints in Christianity. St. George is famous in other areas too, such as Serbia, Russia, Bulgaria, Greece and Catalonia, in most of these places the 23rd of April is the day marked as the feast of St George. According to the legends, St George was raised in Lydda, Palestine and born into Greek nobility. His father was from Greece and was an official in the Roman Army, and his mother was from the Syria/Palestine area. They both died when St George was in his teens, and shortly afterwards he joined the Roman Army and quickly rose through the ranks until he reached the rank of legatus, similar to a modern day general. Around this time the reigning Emperor Diolectian issued an edict persecuting those of the Christian faith; upon hearing about the edict St. George gave his money to the poor, freed his slaves and made himself known to the Emperor. Diolectian tried to tempt St George into renouncing his faith, offering him land, wealth and more slaves and when St. George refused, sent him to prison. The Emperor tried one more time to tempt St. George, sending a beautiful woman down to his cell, but St George ended up converting her to Christianity while she was there. St George was then executed by decapitation and amazingly, the Empress Alexandra of Rome witnessed his suffering and became a Christian, and so joined St George in his martyrdom. So, how do we celebrate England’s patron saint? There are re-enactments of his mythical dragon-slaying story, the famous red cross-on-white flag is flown around the country, and in the more rural areas of the country you can enjoy morris-dancing and Punch and Judy shows. There has been some debate about St George in recent years – talk of replacements as the Saint actually has very little to do with Britain (only one story has him visit the country), there has also been a general decline in the celebrations around the country. St George replaced another martyr around 400 years ago (St Edmund), perhaps it’s time for a new one? Or maybe we’ll see something of a renaissance in the coming years! 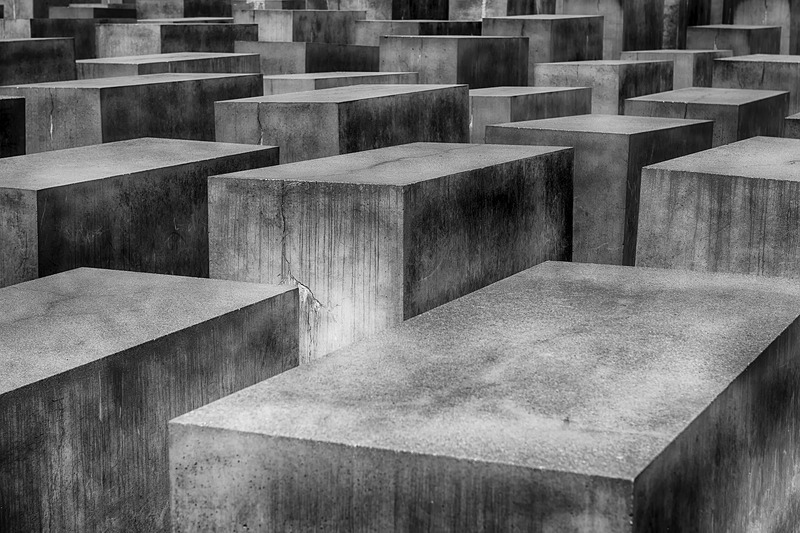 The Jewish Holocaust Remembrance Day, sometimes referred to as Yom HaShoah, is on the 12th of April this year in the Jewish Calendar. The Jewish community in Israel and abroad commemorate the day in many ways; in Israel, places of entertainment are closed on the day of Yom HaShoah, flags are set at half-mast, political and religious leaders give speeches and the national TV channels play Holocaust documentaries, whilst abroad the communities host memorials and services in local synagogues. Though the atrocities of the Holocaust are more-than worth revisiting, they are already well-documented; so, we thought we’d take a different approach and remind ourselves of the heroes in the Holocaust. Tuvia, Zus, Aron and Asael Bielski were Polish millers and grocers in the Belarusian village of Stankiewicze. Eventually the area came under Nazi control, and the brothers fled with a small group to the nearby Nakiboli Forest; the eldest brother Tuvia had experience in War – he had risen to the rank of Corporal in the Polish army and therefore knew a few things about organisation and leadership; under him and his brother’s leadership the numbers in the Nakiboli Forest grew from 40 to a peak of 1,236, and became known as the Bielski Partisans. Though the group comprised of mainly women, children and the elderly, there was a group of around 150 fighters that would organise resistance and disruption missions against the Nazi’s. Painfully, Aseal Bielski was conscripted into the Soviet Army and fell in one of the final operations of the War, but the rest of the brothers survived. The brothers story has been made famous by the book Defiance and its film adaption starring Daniel Craig. De Sousa Mendes was a Portuguese consul-general in Bordeaux, France during World War II, and defied the orders of the Portuguese Dictator António de Oliveira Salazar by giving visas and passports to a huge amount of war refugees, including many Jews. Unfortunately, the number is unlikely to ever be discovered but many historians believe it to be in the tens of thousands, which would make it the largest rescue action by a single individual in the War. Though de Sousa Mendes had no Jewish beliefs, he was a devout Christian and held the Bible’s words “love thy neighbour” in the highest regard and worked tirelessly to sign the papers. After a period of obscurity and indeed disgrace due to the Portuguese dictatorship’s punishment, de Sousa Mendes was eventually recognised by his country and Israel recognized him as Righteous Among the Nations. Kolbe had made something of a name for himself prior to the War, having set up a Catholic missionary group that spread the faith around the world, as well as a magazine, monastery and radio station. But he raised himself to another level when the Nazis arrived. He hid two thousand Jews at his monastery until he was eventually arrested and sent to Auschwitz. Upon a prisoner escaping the camp, Nazi officers gathered up men to die for the escapee’s actions; when a prisoner tried to resist claiming he had a family, Kolbe volunteered in his place. The men were sentenced to starve to death and the priest led them in song and prayer until after two weeks he was the last man alive. A Nazi prison officer then injected him with carbolic acid to end the process; Pope John Paul II canonised Kolbe and named him the “Patron Saint of Our Difficult Century”. Easter, as you may well know, is the Christian holy festival that celebrates the resurrection of Jesus that follows Good Friday, his crucifixion and burial. The Easter egg has become associated with the festival due to its ancient symbolism of new life and rebirth in western Christianity, but how does the rest of the world celebrate the most important holiday in the Christian religion? European traditions and customs during Easter are surprisingly varied; In Norway its common for people to read crime-thriller novels and detective TV programmes, and its common in north-western Europe to light large ‘Easter Fires’ as a means for the community to come together. Sweden have an interesting custom in sending children dressed up as Easter witches to knock on doors and give small gifts such as paintings in return for sweets. A town in France called Haux is famous for making omelettes at this time of year; Napoleon famously ate some when his army was passing through and ordered the town to make them for the whole army the next day. A bizarre tradition which involves throwing water over the heads of unsuspecting girls originates from Hungary, and then there’s the ‘light spanking’ with decorative willow whips that boys give girls in the Czech Republic. In Haiti, the country takes this time of year very seriously and sees the countries original voodoo traditions mix with Catholicism – locals present body parts of a goat as an offering to the spirits and swim in a sacred lake, whilst others pray at the church and devout themselves to God, whilst the whole country enjoys ‘rara’ music played on bamboo trumpets, drums and even coffee jars. Brazil enjoys making straw caricatures of Judas, which are then beaten, burned and destroyed. In the Philippines locals are renown for self-flagellation by whipping themselves with bamboo sticks in a recreation of Jesus’ suffering, and in similar fashion Indonesians bear the cross to replicate his trials and tribulations. So, on behalf of Vandu Language Services and our associates, have a wonderful Easter weekend! Do you require any assistance with the language of the countries you’ve just read about? Please email info@vlslanguages.com or call 01273 743986 for further information! This week marks British Sign Language week in England, and what better time to rediscover the history and creation of sign language? If you’ve kept up with our previous blogs on the histories of language, you’ll probably notice that there’s rarely a definitive answer on ‘who’ creates a language, and the same can be said for signing. Our oldest ancestors likely used a version of sign language by gesturing, such as pointing and beckoning. Sign systems were in use throughout the world much earlier than you would think, the evidence of which dates back to the 1400’s where an Amazon tribe were seen communicating between each other and neighbouring tribes. However, until the 18th Century the deaf and dumb were widely considered to be unintelligent and incapable of language, which is probably why there were not any widely-used or popularised sign language systems. The very first true sign language that was widely used was the Old French Sign Language, used initially by the deaf on the streets of France, but popularised by Abbé Charles-Michel de l'Épée, whom started a deaf school in 1760, but made his teachings available to the public; Laurent Clerc, a graduate and former teacher in de l'Épée’s school, went to the United States with Thomas Hopkins Gallaudet to create the American School for the Deaf at Hartford – fully formed sign languages would start to appear around the globe from there on. Happy British Sign Language week to all our customers and colleagues!